Specim’s thermal airborne hyperspectral sensor AisaOWL, covers the contiguous spectral range from 7.7 to 12.3 μm in 96 channels and has the sensitivity to detect and classify even gases. 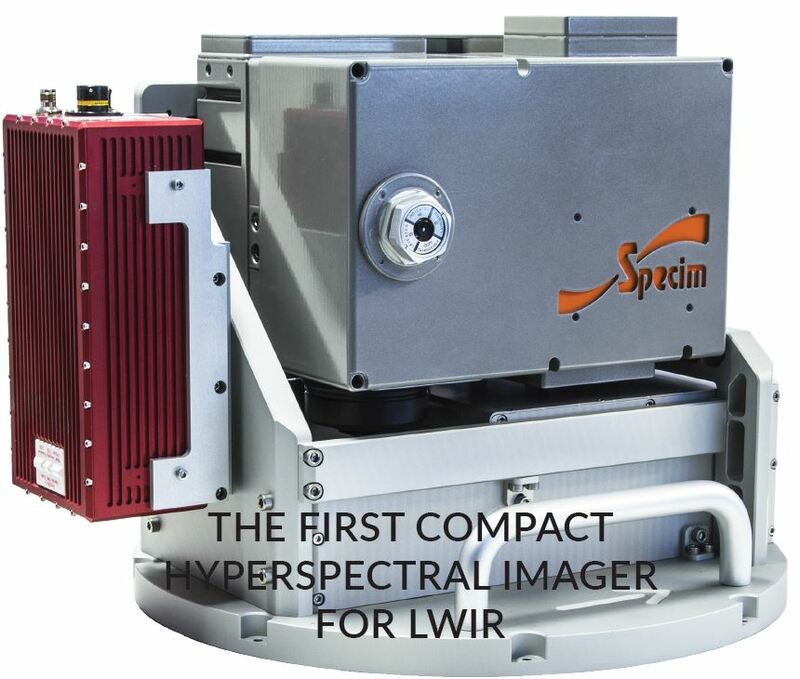 The AisaOWL is a fast pushbroom hyperspectral system designed to provide the remote sensing market with a high performance LWIR hyperspectral imager in the smallest achievable size. The AisaOWL cooling, so important to any proper LWIR sensor, is achieved through a stirling cycle cooler, greatly reducing complexity and achieving a sensor weight of only 13.1 kg. Thanks to its design and sensitivity, AisaOWL captures all its spectral bands for the whole 384 swath-width of pixels simultaneously, and sustain the 100 frames per second storage speed of the whole datacube continuously. As a result, high sensor or target dynamics are possible without degradation of image quality. The only moving part of the AisaOWL sensor is the shutter, used for dark image calibration between data collection sessions. Since the airborne image data is captured without any moving parts or requiring complex mounting systems, there are no distortions caused by any mechanical inaccuracies. Line of sight jitter, sampling jitter, spatial pixel mixing, spectral shift and clipping effects are all major airborne hyperspectral imaging problems in Fourier Transform and whisk-broom type instruments, specifically addressed and removed by the design architecture of AisaOWL, while maintaining unparalleled sensitivity and lack of complexity.